Home » Reptile » Health Care » Zoo Med Repti Turtle Eye Drops 2.25 oz. 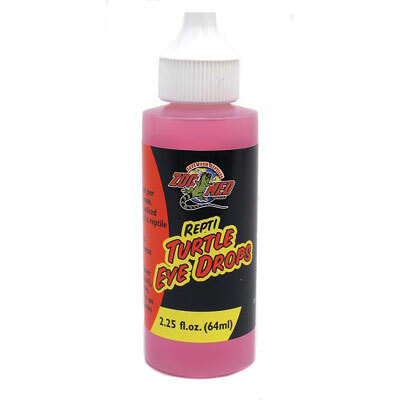 Repti Turtle Eye Drops opens and cleans inflamed turtle eyes. Use as a preventative for eye diseases caused by Vitamin A deficiency. Shipping weight: 1/5 lb. Water (Isotonic Saline Solution), Solubilizing Hydrotrope, Vitamin A Palmitate in a Oil Base, Cyanocobalamin (Vitamin B12). For closed eyes: Apply one to two drops per eye each day for one week. Worked exactly like I hoped it would. My turtle is back to his happy self again.